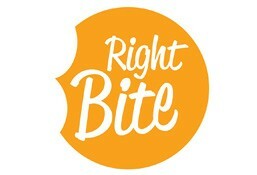 Right Bite Express is currently closed for delivery and it will open at . Served with a sweet and spicy peanut dip. Supercharged hummos served with crispy veggies made for double dipping! Skin on, hand cut and oven roasted. Earthy mushrooms pureed with russet potatoes and a touch of cream. Fresh spring veggies, all white shredded chicken breasts and a spoonful of oats, slowly simmered and delicately spiced. Peri peri grilled chicken, coconut crusted pineapple, roasted pumpkin, celery and avocado over a bed of lettuce with a peri-peri dressing. Chili con carne, red kidney beans, cherry tomatoes, avocado, jalapenos and diced capsicums over chopped kale, topped with crispy tortilla strips in a cilantro and lime dressing. Beans sprout, carrot, cucumber and chinese cabbage slaw tossed with spring onions, bell peppers and stir fried chicken in our tangy ginger soy dressing. Organic quinoa, charred corn, black beans, diced bell peppers, red onions, chopped cabbage and coriander in a tangy Dijon dressing. Our signature bolognese over whole-wheat spaghetti topped with shredded parmesan. Mushroom And Kale Barley "risotto"
Sauteed mushrooms and chopped kale simmered with nutrient dense barley and topped with almond slivers and shredded parmesan. Our signature bolognese over zoodles topped with shredded parmesan. Low fat, low carb, vitamin and mineral packed! Get your protein and sweet fix with this all natural and dairy free power bar.